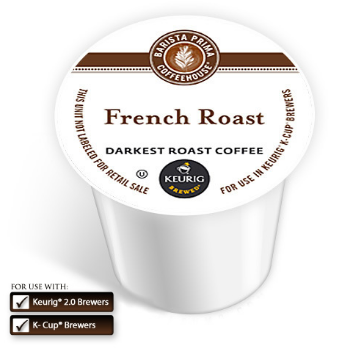 Like the name implies, this really is the darkest roast coffee. The proof is in the taste. Now don’t get me wrong – I do love a nice dark roast coffee. But I’m not so in love with this specific blend. In fact, I now avoid it altogether. Why? Because there’s a difference between dark and burnt, and to me this coffee tastes burnt (though my coworkers and I have had a few heated lunchroom debates on this). Some people really like a burnt taste with their cuppa jo’, but not this person. Never have, probably never will. Some of my fellow coffee-consuming comrades have said it tastes "smokey" and not "burnt", so depending on what floats your coffee boat this may or may not be the brew for you!